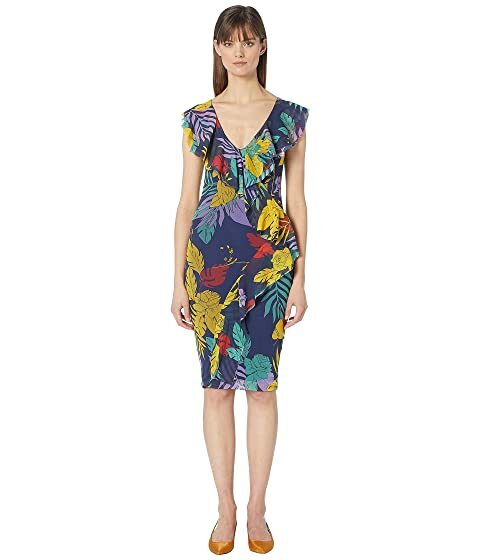 Feel as though you have escaped to the tropics wearing the FUZZI™ Leaf Print Fitted Front Ruffle Dress. Cascading wave ruffle detail at front. We can't currently find any similar items for the Leaf Print Fitted Front Ruffle Dress by FUZZI. Sorry!